What's Poppin' Tonight! 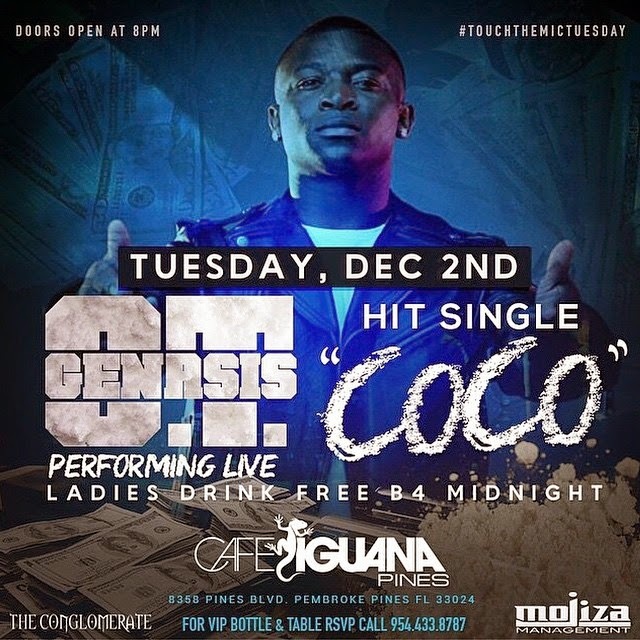 #TouchTheMicTuesdays presents OT GENASIS at Cafe Iguana Pines ~ Phresh Hott New! Tonight! 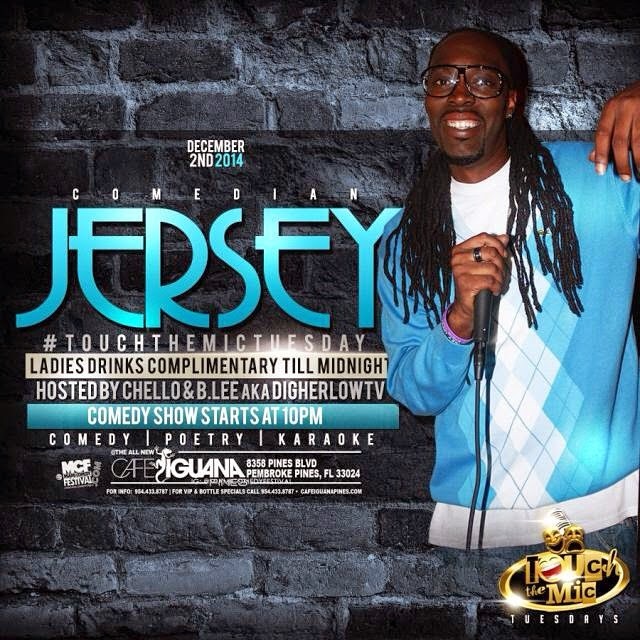 #TouchTheMicTuesdays featuring comedian Jersey + For The First Time Ever Conglomerate Entertainment artist "OT GENASIS" performing live his hit single “CoCo.” Hosted by Chello & B. Lee aka Digherlowtv. Doors open at 8PM | Comedy Show starts at 10PM.